Part 1 of this article explored the historical background of efforts to detect gravitational waves, including Einstein’s development of his General Theory of Relativity and some of its implications. Einstein’s discovery of gravitational waves — like Maxwell’s discovery of electromagnetic waves — came from teasing out all the mathematical implications of the field equation he’d developed. One of the first papers Einstein wrote in 1916, after publishing the General Theory of Relativity, was a paper following in Maxwell’s footsteps, showing that the gravitational field equation can take the form of a wave equation. This suggested, therefore, that the gravitational field should be able to propagate in waves. As with black holes, Einstein himself harbored doubts about whether these waves were actually real — as opposed to being mere artifacts of the complex mathematics utilized by General Relativity. In any event, his calculations suggested that even if they were real, their effects would be so insignificantly small that we would never be able to detect them. Decades later, however, a new generation of scientists began to take the idea more seriously. In the 1960s, there was a resurgence of research that delved deeply into two parallel questions: The question of what kinds of astrophysical sources would produce gravitational waves, and the question of whether it might actually be possible to detect them. One of the most promising types of source is a pair of massive bodies in orbit around each other — for instance, a pair of stars. According to Newtonian physics, a pair of stars in orbit around each other — a so-called binary star system — would just continue to revolve around each other in perfect elliptical orbits, forever. There is no mechanism that would cause the system to lose energy; Newtonian physics doesn’t include gravitational waves. So if astronomers could observe a binary star system and obtain precise enough information about its orbital motion, they could test whether it was changing in the way that General Relativity predicts. But Einstein’s theory predicts that a pair of stars orbiting around each other would lose energy by radiating gravitational waves out into the universe. This would cause them gradually to spiral closer together and to speed up in their orbits, like a spinning figure skater pulling in her arms. In 1974, two astronomers, Russel Hulse and Joseph Taylor, discovered a binary star system consisting of two neutron stars. Recall that a neutron star is essentially a ball of neutrons about twice the mass of our sun but with a radius of about 6 miles. The extreme density of these objects gives rise to extremely strong gravitational fields. This binary system was especially interesting because one of the two neutron stars also happened to be a pulsar. A “pulsar” is a spinning neutron star that emits a beam of radio waves that sweeps around as it spins, like a lighthouse in space. What we observe from earth are extremely steady pulses of radio waves, like the ticking of a very accurate clock. This gave Hulse and Taylor all the tools they needed to make precise measurements of the binary orbit — and after observing the system over a few years, they found that its orbit was indeed speeding up! When they compared their measurements of the change in the orbital period to the theoretical prediction from General Relativity, they found absolutely stunning agreement between the two. 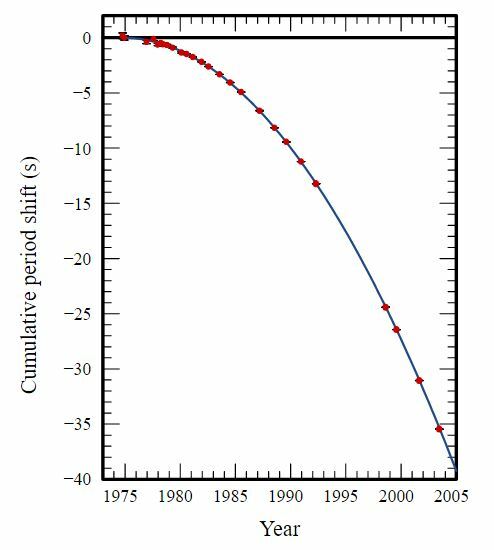 The dots in the figure are the measured values of the orbital period, taken at different times over a span of thirty years. As you can see, there is absolutely spectacular agreement between theory and observation. Over three decades, this star system had been losing energy by radiating gravitational waves in the exact amount that General Relativity predicts. Sure enough, when the detectors finally came back online in 2015 — indeed, even before their testing runs were complete — they made the first-ever detection of a gravitational wave signal! This was decisive evidence of the reality of gravitational waves, and it earned Hulse and Taylor the physics Nobel prize in 1993. It also gave greater impetus to the idea of trying to build a gravitational wave detector. Hulse and Taylor were able to infer the existence of gravitational waves by observing a star system that was fortuitously configured so as to allow for very precise measurements of its orbital motion. The next question was whether it would be possible to build a device that could detect gravitational waves coming from more general types of objects anywhere in the universe, and measure their properties. The main challenge in detecting these waves was the challenge that Einstein first identified a hundred years ago: any gravitational wave that passes by the earth is going to have a really tiny effect. And when I say really tiny, I mean really tiny. When a gravitational wave flows by, the effect it causes is to change the spatial relationships between objects. It stretches things out in one direction while squeezing them together in another. And then it does the opposite, back and forth periodically. But this stretching and squeezing is infinitesimally small: If you have two objects a few miles apart from each other and a relatively strong gravitational wave passes by, the change in the distance between the objects resulting from the stretching and squeezing of the wave will be a billion times smaller than the size of an atom. So how do you measure tiny, invisible ripples in space emanating from events that happened billions of lights years away, whose sole effect is to change the length of your measuring instrument by an amount that’s smaller than a proton? The answer? Build the most sensitive instrument ever devised by human beings. After many decades of exploratory theoretical and experimental work, there emerged a project that eventually became known as LIGO, or Laser Interferometer Gravitational-Wave Observatory. The idea was to try to detect gravitational waves using a device called an “interferometer,” which works by using wave interference (an “interfere-o-meter”). Imagine that you have a light wave in the form of a powerful laser beam and you split it into two beams that travel down perpendicular paths. 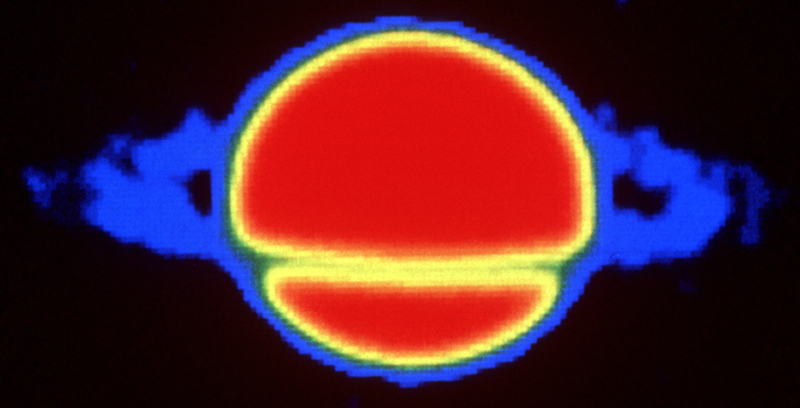 Each beam then bounces off a mirror and returns back along its original path — and the two beams recombine in a detector. 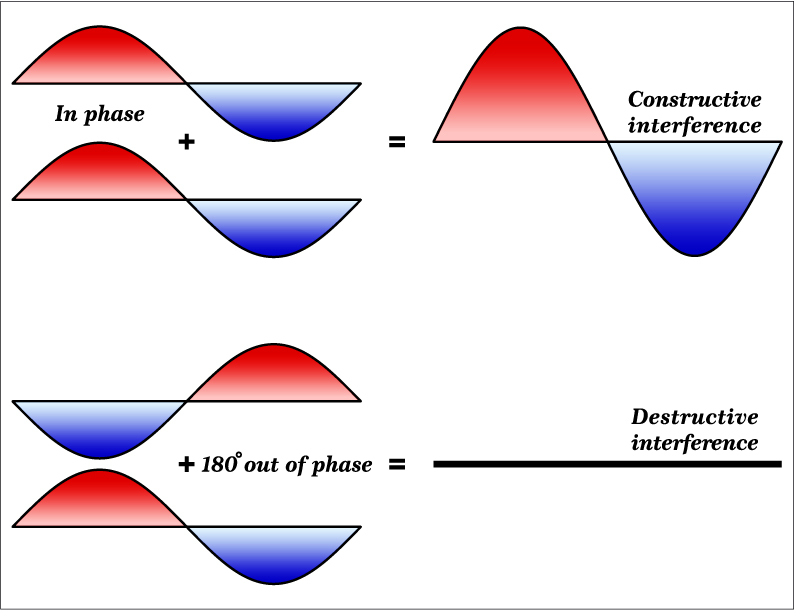 Waves have interesting ways of combining: If the light waves are perfectly in sync when they recombine, they will add together and form a bright spot in the detector. If they’re exactly out of sync, they’ll cancel out and form a dark spot. And if they’re somewhere in between, the brightness will vary accordingly. This is the phenomenon of wave interference. So what determines whether the laser beams will be in or out of sync when they recombine after traveling their different paths? It’s the distance that each beam has traveled down the perpendicular arms of the interferometer. 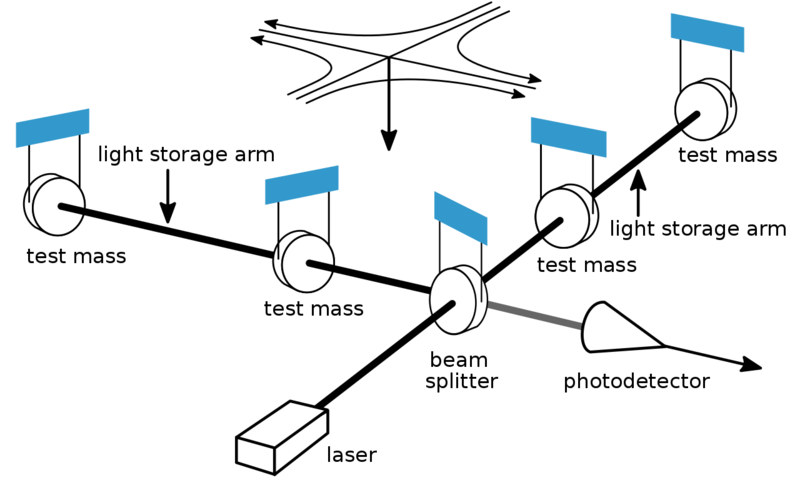 If the interferometer arms have exactly the same length, then the light waves will travel exactly the same distance and be exactly in sync when they recombine. But if the interferometer arms are different in length, then the waves will travel different distances and will interfere accordingly. The interference pattern, therefore, gives a very accurate measurement of the difference in the arm lengths of the interferometer. And this is exactly what’s needed to detect a gravitational wave. When a gravitational wave passes through an interferometer, each arm of the interferometer gets periodically longer and shorter: The arm lengths get alternately stretched and squeezed. But because the arms are perpendicular, the stretching and squeezing happens out of sync — so the arm lengths differ from each other as the wave flows by. And that difference in the arm lengths is exactly what the interferometer measures. The problem is that random vibrations from the environment will have a bigger effect on the lasers and the mirrors than that. If someone just walks down the hallway, or sneezes in the control room, that’s going to shake the laser by more than a factor of 1 in a shmigillion. Hence, much of the experimental effort involved figuring out how to isolate the detectors from environmental disturbances and to eliminate all the possible sources of random noise, to ensure that any signal showing up in the detector is actually caused by a gravitational wave. In part, this was accomplished by making the interferometer arms as long as possible, to boost the signal. These devices are housed in concrete buildings with perpendicular arms 2.5 miles long. It was also accomplished, in part, by building two detectors two thousand miles apart. If someone sneezes in the control room in Hanford, Washington that’s not going to affect the detector in Livingston, Louisiana. Over time, the theoreticians and experimentalists working in collaboration on these challenges developed a firm conviction that they could be overcome, and the LIGO project gradually took shape. The project was a decades-long effort involving hundreds of scientists and engineers. It broke ground in the 1990s and took its first data around 2002. By design, the first-generation detectors were not too likely to detect anything. It was important to test the designs in stages and gradually build up to higher and higher sensitivities. In 2010, the detectors went offline to be upgraded to a much more sensitive, advanced design. The advanced detectors were considered much more likely to succeed. Indeed, their design sensitivity was high enough that it would actually be surprising if they did not see something. From the information carried by the wave pattern, scientists were able to infer that what LIGO had detected was a burst of gravitational waves caused by the collision of two relatively small black holes that spiraled into one another and merged around 1.3 billion years ago. Since then, LIGO has detected a number of other events — most of them also resulting from the merger of binary black hole systems. So now that we can detect gravitational waves and extract from them information about the objects that emitted them, how will this impact our knowledge of the universe? Recall the point we made at the very start of this article: For almost all of human history, our only means of observing the universe was naked-eye astronomy — and every technological advance that led to new instruments opened up completely new ways of perceiving the cosmos, enabling the discovery of previously unknown aspects of the universe. In particular, Maxwell’s discovery that there is a broad electromagnetic spectrum beyond the band of visible light made it possible for us to “see” the universe in myriad, previously unimaginable ways. Consider the two images of Saturn below, one taken with a camera sensitive to visible light and the other taken using a radio telescope. Notice that the information we get via radio waves is significantly different from the information we get from light. And these are different from the information we would get from X-rays or gamma rays or from other bands of electromagnetic energy. If opening up each new band of the electromagnetic spectrum could completely transform our understanding of the universe, imagine the impact of opening up an entirely new spectrum altogether. What Einstein discovered — and what LIGO is now able to detect — is not just a new region of the electromagnetic spectrum, but a whole new spectrum completely unrelated to electromagnetic waves. 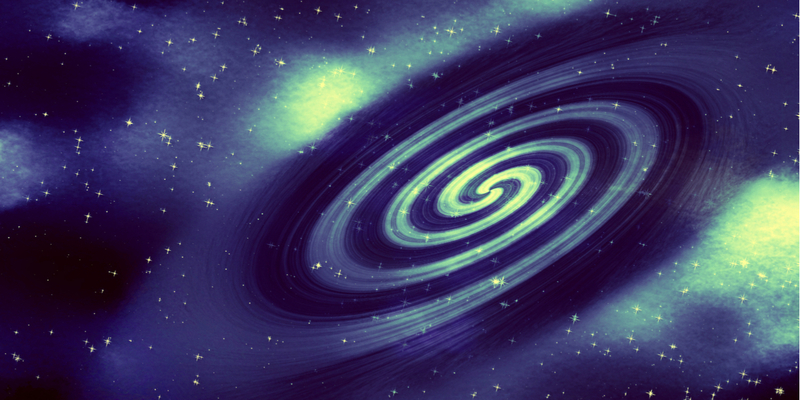 Gravitational waves are a totally different form of radiation: waves of gravitational energy. And now that we can detect them, we’re getting an entirely new kind of information about the universe. When two black holes collide, there’s nothing to see using light or other electromagnetic waves. But the gravitational waves come right from the heart of the collision. We’re now able to peer right into the core of events that were completely invisible to us before. This a new window on the universe like nothing we’ve ever opened before! The “O” in the acronym LIGO (“observatory”) was included for good reason: The successful detection of gravitational waves has already inaugurated a new era of astronomy. On August 17, 2017, LIGO picked up a signal that was different from the black hole collisions it had previously detected. The shape of the waveform indicated that this was a neutron star collision — the first time ever that astronomers had detected the final inward spiral and merger of a binary neutron star system. As soon as possible after the LIGO team detected this signal, they sent out an alert to astronomers all over the world. Numerous groups immediately started looking for counterpart signals across the whole electromagnetic spectrum: in gamma rays, X-rays, radio waves, visible light, infrared, etc. More than seventy observatories around the world flew into action — and they all saw something new in the location in the sky associated with the gravitational wave signal. This was an astrophysical event — the merger of two neutron stars and its aftermath — which nobody had ever definitively seen before. Now, hundreds of astronomers were able to collect information about it in every detectable form of electromagnetic radiation — and in gravitational waves. Over decades, scientists have developed a number of theories about what would happen when two neutron stars collide, but until now have lacked evidence to test their ideas. When confronted with the awesome magnificence of the cosmos, the rational though much rarer attitude is to be inspired to understand and master it. For example, neutron star collisions are believed to be the cause of a certain type of “gamma ray burst” — short bursts of gamma radiation that astronomers observe roughly once a day through gamma ray telescopes. There were solid lines of evidence supporting the idea that this particular type of gamma ray burst was caused by colliding neutron stars — but no definitive proof, so this was an open question for many years. But on August 17, 2017, about 1.7 seconds after the gravitational waves arrived, the gamma ray telescopes detected a gamma ray burst — clearly from the same event. Instantly, just from that alone, astronomers had conclusive evidence linking this type of gamma ray burst to the neutron star merger measured by the gravitational wave signal. Decades of theoretical research: confirmed. Another longstanding theoretical prediction is that when neutron stars collide, nuclear reactions will create huge quantities of heavy elements — elements like gold, platinum, uranium, and rare earth metals — and the collision will result in a giant explosion that blasts these elements out into the universe. Scientists have believed for a long time that neutron star mergers are an important source of the heavy elements that we find in the universe. Again, this was an open question. But because of the distinctive waveform in the gravitational signal, all the other astronomers knew they were observing the aftermath of a neutron star merger. So they knew what to look for in their data, and when they did the analysis they found that this collision event produced something like 200 times the mass of the earth in pure gold and about 500 times the mass of the earth in pure platinum! Another theory confirmed: In all likelihood, the gold and platinum in your jewelry was formed billions of years ago by neutron star collisions. This event also provided a way to measure the speed at which gravitational waves travel. General Relativity predicts that gravitational waves will move at the speed of light. But the data obtained from this event allows us to actually measure it. A gamma ray burst is an electromagnetic signal, which always moves at the speed of light. But it arrived less than 2 seconds after the gravitational wave signal after they both traveled through space for more than 130 million years. This means that to within an accuracy of one part in 10 to the 15th power, the gravitational waves traveled here at the speed of light. We could go on and on: There is so much that scientists have been able to learn just from this one event. And this is only one event! Imagine how much more our knowledge will expand as this kind of multichannel observation becomes routine. We truly have entered a whole new era of observational astronomy. Rand noted that the world responded to the Apollo mission with wondrous excitement and inspiration. She explained that response by arguing that spectacular achievements of science and technology can offer a similar kind of spiritual fuel to that provided by great works of art. We are too often exhorted by today’s intellectuals to gaze in awe at the supposedly mysterious, incomprehensible wonder of the universe and to feel small and insignificant in comparison. But Rand’s perspective is the polar opposite: When confronted with the awesome magnificence of the cosmos, the rational though much rarer attitude is to be inspired to understand and master it. The development of the theory of relativity and the construction of instruments that can detect gravitational waves are a high water mark in mankind’s quest for understanding and mastery. Keith Lockitch, Ph.D. in physics, is a senior fellow and vice president of content at the Ayn Rand Institute. He focuses primarily on the intersection of science with current events and policy issues. He is a senior editor of New Ideal.